The post with the most views on this site is and has been for quite some time how to add simulated tilt-shift using Photoshop. Since that was written quite some time ago and for Photoshop Elements I wanted to write an updated version using Photoshop CC. Also to simplify the effect even further. To make it even more comparable I will be using the same source file for the effects. I came across a movie by Peter Hurley about the importance of jawline in portrait photography. Looking at the examples he provide it is clear how a portrait can change fundamentally with the slightest movement from your model. I highly recommend this move/tutorial for all photographers wondering why their portrait photos just wont look professional. Myself; I learned lots from it! It’s all about the Jaw from Peter Hurley on Vimeo. 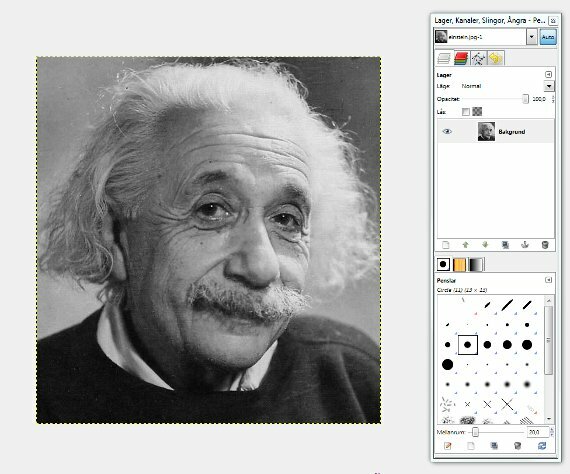 This is a quick tutorial on how to use GIMP for colorizing a black and white photograph. The technique is described in general instead of in detail since each photograph will be unique in its own composition. 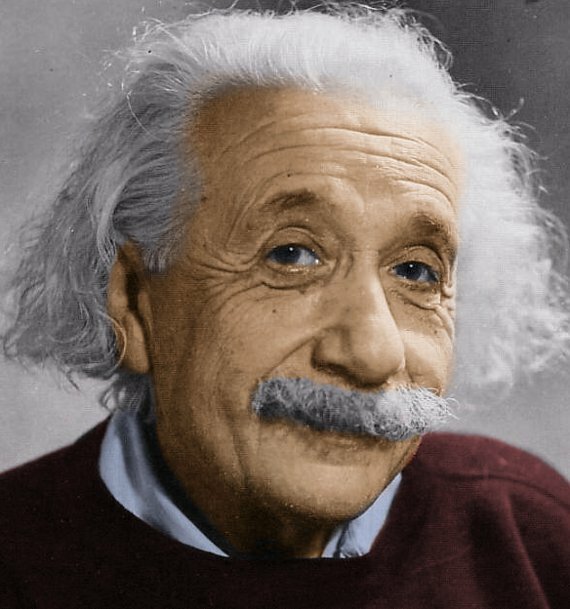 The photograph I used is of Albert Einstein (and I borrowed the photo from this site) and this is one of my favorite photo of him since there is something beautiful over the playfulness in his smile. 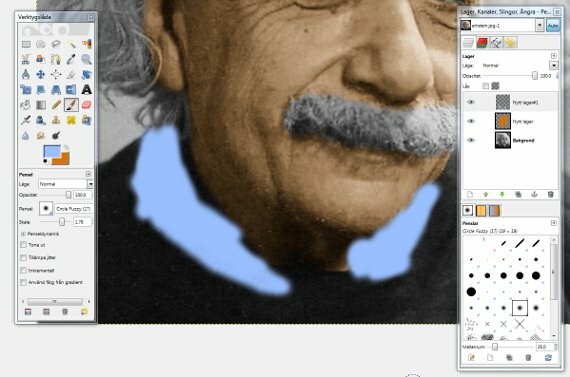 The same technique can be used for Adobe Photoshop or other software as well and the method we are using are similar to what we did earlier when we exchanged a selected color in an image. Start off with a black and white photo. The wider spectrum of grey tones and the more dynamic the photo is, the better the end result will be. Select the brush tool and with the new layer selected, paint with a warm orange color over all parts of the portrait where you want skin. Advanced:You can start of by a large brush and go into more details using the eraser afterwards. When you have painted parts of the photo where there is visible skin, with the selected layer in the Layers toolbox, change the blending type to multiply. Using the transparency of the slider you can adjust the strength of the color. Do the same for the other parts of the image you want colorized, adding a new layer for each new color. Set each layer to blending type, Multiply when finished. 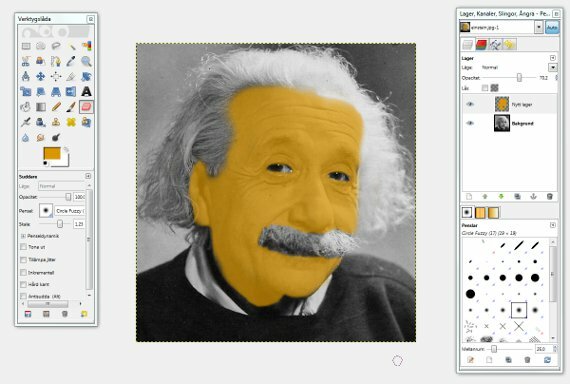 When all parts have been colorized, right click on any of the layers in the Layers toolbox and select Flatten image. 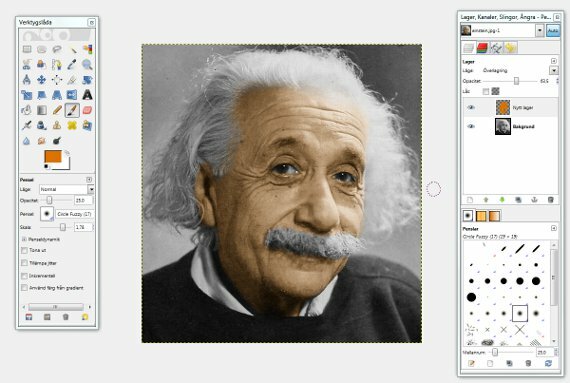 Advanced:Using Color adjust, you can set the overall color to meet your goal or to tweak the full color range. It can also be used to ting the part of the photo which was not colored into a warmer or colder tone. When we are to take a photograph of a flowing waterfall, the waves of grass on a field or perhaps the dreamy slow flow of a small creek it is easy to end up with an image where all seem frozen. The feeling of the location that was so clear at the site disappear completely when the photo has frozen the motions that was visible. How to counter this to bring a photo back in which we can save the feeling and the look of what we actually saw? The reason is that cameras often in automatic modes use a short exposure give us a sharp image where motion often is reduced or removed all together. By instead increasing the exposure time we can bring back the motion into these images and end up with a photo which includes what we tried to remember. A night at the beach by a concrete pier can end up with a photo as below. Since we will be open up the sensor for quite some time a tripod or something to hold your camera in place is a must. Also, if you are out in daylight or in a setting which is already lit a neutral density filter can prove to be much helpful. Turn the mode dial of your camera to manual mode. The manual mode is often shown as an ‘M’ on the dial on your D-SLR where you can also find modes for aperture priority, shutter priority or the preset modes. Also place the camera body steady using a tripod or similar, all to reduce the shake which will cause blur when we are using longer exposures (lower shutter speed). Lower your ISO to the lowest possible setting, often between 80 and 200 depending on your camera. Since the ISO is a measurement of the sensitivity of the sensor in the camera a low value will require more light to enter the camera to sow up in the photo. Reduce the aperture to the lowest setting you can use, often about f/22 but can go even higher depending on your lens. The aperture is how big or small the opening or iris is in the lens to let through light into the camera. Beware however that on very small apertures the quality of the photo might be reduced. If you have neutral density filters, apply these to your lens. The neutral density filter is a filter which goes on your lens which then reduce the amount of light which can pass through the lens into the sensor of your camera. By doing this you can open the shutter for a longer time without getting to much light into the camera and by that, get an overexposed image. Set an exposure time between two and thirty seconds. The exact amount of time you need to open the shutter is depending on the light conditions you are in. If you are taking photos at dawn the light will change for every minute that pass so you can’t even use the same value for two photos to get the same result! Simply start with a value of a couple of seconds to see if you need more or less. A too dark image need a longer time with an open shutter and a to bright image need a shorter shutter time or that you as a photographer wait until the sun has set some more. Use a remote trigger. To reduce camera shake even further use a cable release or a remote control or if you have none of these use the timer mode in your camera to delay the photo being taken for a few seconds after you press the shutter release. Before you start taking photos, walk for a bit and look for settings which would be a great photo. For long exposure photos of water personally I find locations where items are in the water which the waves can crash against to look most stunning. Always think about photo composition when looking for a location. Foreground and background is just as important as the main subject in shots where you want to show a large area. If you are on a beach, look for stones and drift wood.